Sisimiut’s hilly roads, colourful houses and high mountains make the city incredibly beautiful. Here you can talk about a proud city. Sisimiut is well known as a city of entrepreneurs. Located just north of the Arctic Circle with direct access to the open sea, fishing is naturally the biggest business. There is a good atmosphere in the city. The locals are cool and confident. After all, it’s Greenland's second largest city with 5,600 inhabitants. The hinterland offers numerous hiking routes of varying distance. The longest route is 165 km, and goes all the way to Kangerlussuaq, taking 8-12 days to complete. Winter in the Sisimiut area is full of outdoor activities. People go skiing, snowmobiling and dog sledding. Sisimiut’s high mountains mean you’ll be rewarded with the best views when you reach the top by dog sled or snowmobile. 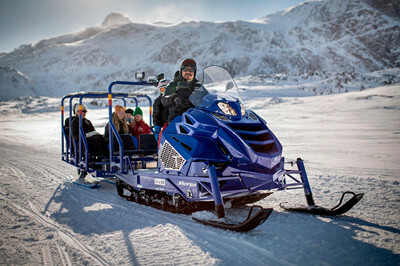 If you’re fit and enjoy a bit of speed in beautiful, unspoilt nature, you can visit Sisimiut's snowy hinterland from December to April for a snowmobile trip. Some include ice fishing. 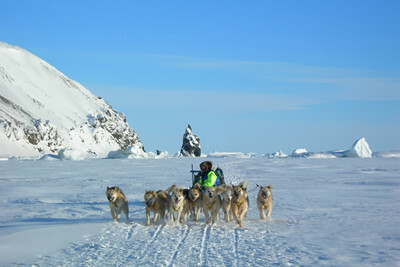 Dog sledding is a major part of Greenlandic culture. The teamwork between dogs and their humans combined with the beauty of Sisimiut's hinterland, make it a special experience. The trips of a longer duration also have a higher degree of difficulty. The terrain makes these trips quite demanding. You should avoid dog sledding if you have any kind of back problems. 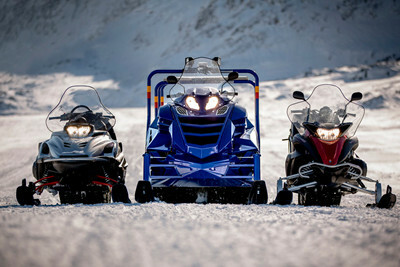 A large snowmobile which can drag a sled seating 7 people. Sit back and enjoy the beautiful hinterland of Sisimiut. 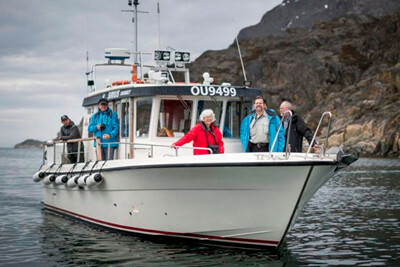 Boating is just as much a part of Greenlandic culture as dog sledding. As there are no roads between the cities, so it’s just natural to sail from A to B. A boat trip from Sisimiut is the obvious choice to explore the region, with many choices of destination. It's a great place for deep-sea fishing, and if you’d like the novelty of crossing the Arctic Circle, you can do that too. You can visit the surrounding settlements by boat. Like most boat trips in Greenland, there are good opportunities to see whales.